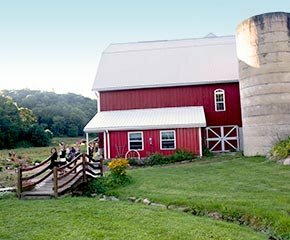 At Country Pleasures B&B, it's all about the experience. 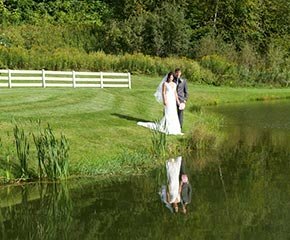 We help you plan your wedding, your memories. Spend Friday decorating your dream with friends and family. Wake up Sunday morning as Mr. & Mrs. and share breakfast with those special guests at the B&B. Our bed and breakfast gives you time to spend with friends and family to make those special memories of the whole weekend. 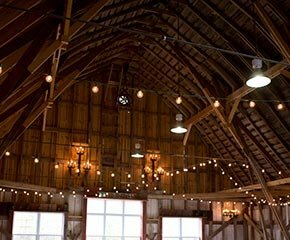 Our Venue Rental includes the barn, grounds, and access to the house Friday to Sunday for wedding preparation all for $2950.00. Use of the facilities for the rehearsal will be included for no additional charge. Venue Rental and Lodging includes up to 15 guests, residing in the 5 bedrooms located on the upper level, with breakfast provided for those guests. Contact us @ 608-839-4915 or email @ info@countrypleasuresbandb.com. Download our Special Events and Wedding Venue Contract. To see more of the venue, check out our wedding gallery.